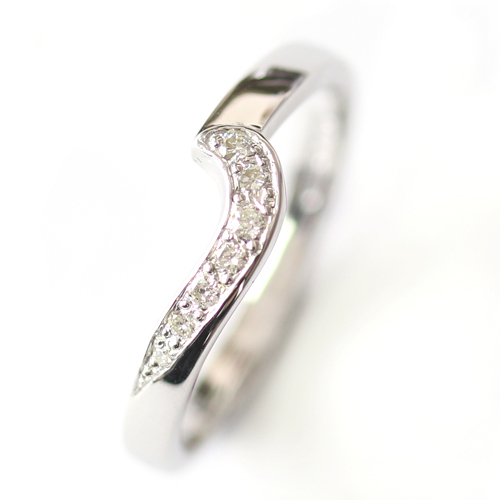 9ct White Gold Diamond Fitted Wedding Ring — Form Bespoke Jewellers Ltd.
A handmade, diamond fitted wedding ring cast in white gold. The customer returned to us for a bespoke wedding ring that would sit perfectly alongside their solitaire engagement ring. Our expert jewellers created a beautiful fitted wedding ring design that wraps neatly around the engagement ring setting. It has been perfectly shaped and frames the solitaire diamond with a row of petite, round brilliant cut diamonds. When put alongside one another, the two rings fit together like a jigsaw. Cast in white gold, just like the engagement ring, this fitted wedding ring is the perfect match.